Now that I’m back in the swing of school in Texas, I feel very far away from my two summer homes, Delhi and Mussoorie. I feel like writing this will bring me back there for a few minutes at least. My first glimpse of the small town came after an overnight bus ride from Delhi. In nearby Dehradun, a big city at the bottom of the hills, I caught a shared taxi with other travelers up into the town. For almost an hour we drove on a winding, narrow (but still two-way) road up into the mountains. Everything I could see from the window was green and wet and beautiful. Eventually we reached something that looked more like India—a busy little bazaar, with hotels and restaurants lining the streets. The taxi driver pulled over and we all climbed out onto what I later came to know was called Mall Road. After taking a few steps away from the taxi and realizing that I had no idea whatsoever where I was going, I went back to the driver and asked him for directions to Sister’s Bazaar, the only “address” that my guesthouse had provided. Eventually, he drove me another two or three kilometers up the hill, charged me a rate that was proportionally ridiculous compared to the drive from Dehradun, and took my picture with his cell phone. Probably just a little reminder of the person he ripped off the most in his taxi-driving career. After a long nap and a day of rain spent trapped inside, I ventured into the great outdoors. 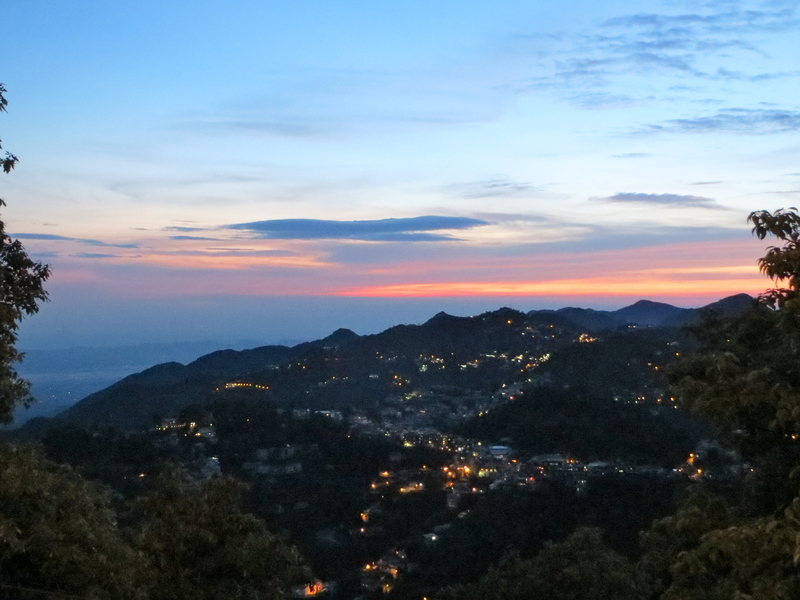 Mussoorie is one of the most beautiful places I have ever seen. 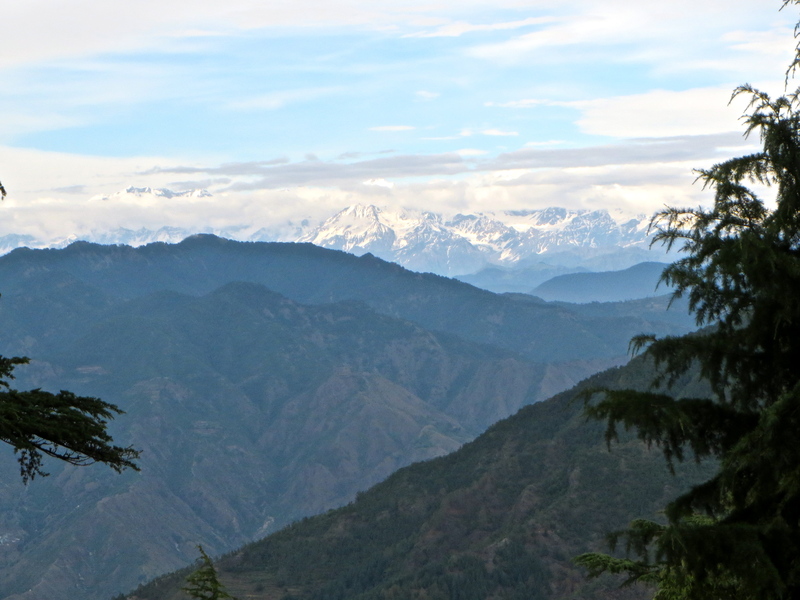 It is remote and green and on clear days you can see the snow-capped Himalayas to the north and Dehradun to the south. Most days, however, are not clear, and when you step outside you find yourself literally inside of a cloud. This makes for some amazing and unearthly views too, seeing the town below emerging out of a cloud almost as if the whole town were floating in the sky. 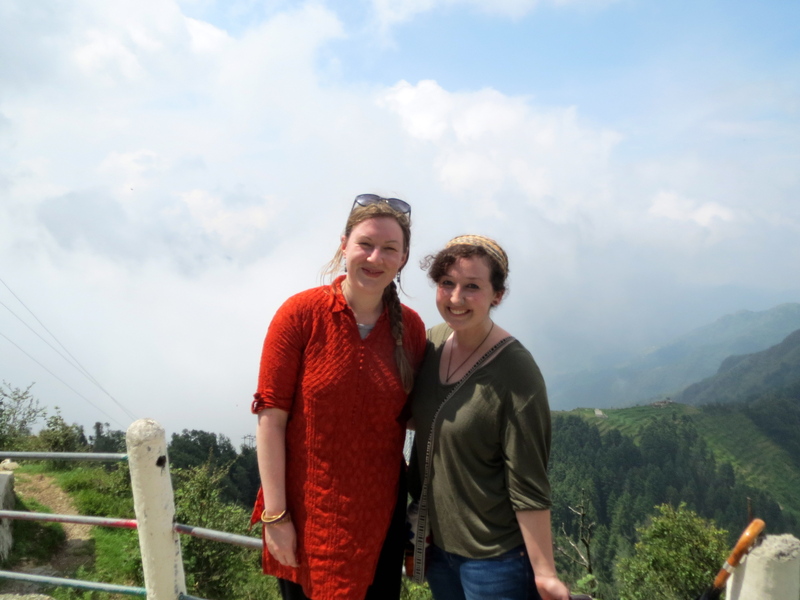 The whole purpose of my venture into the clouds of northern India was language study. 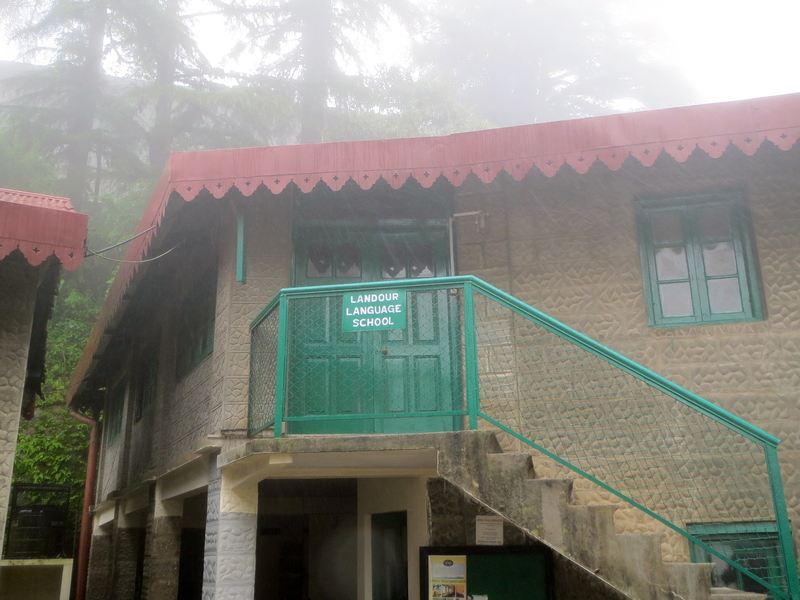 Although there are language schools I could have attended in Delhi, I wanted to experience more of the subcontinent and the Landour Language School (where I studied), was recommended by the Fulbright program, the University of Texas, and countless posters in an India forum I found online. So I made my reservation and began taking twenty hours per week of Hindi lessons. Within the first week I had learned the entire alphabet and was able to write small sentences. By the time I left four weeks later, I was able to converse with my teachers about such topics as the behavior of rabid dogs and the plotlines of newly released Bollywood movies. 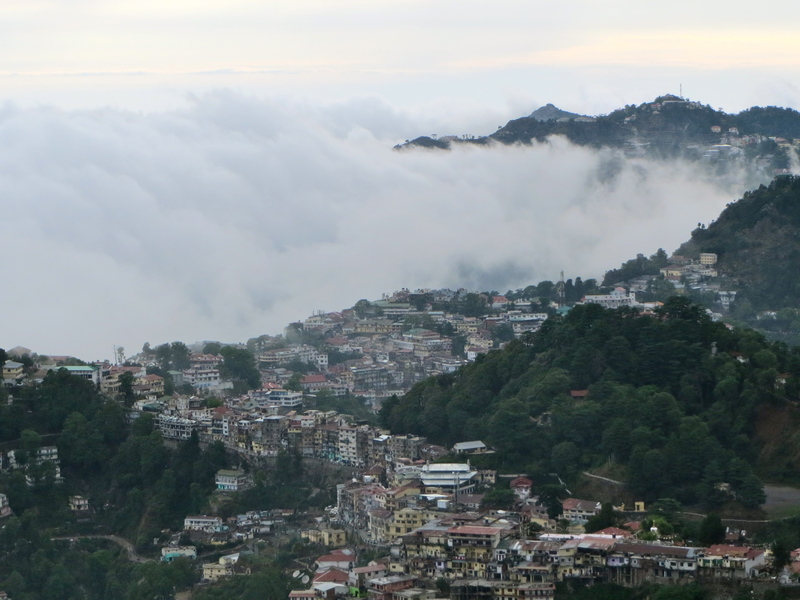 Finally, the people in Mussoorie were really what made my experience. There was Joshi-ji, one of my teachers, who would say “I mean” at least one time in every sentence—“the monkeys, I mean, they came into my house too, I mean.” And there were the other students, such as an Oxford graduate student studying Indian economic history, an Australian law student rediscovering her Indian roots, five exchange students from Brown University whom I met up with in Delhi to visit the International Museum of Toilets (that’s another story), my Swedish roommate who was so good at Hindi that he was reading the Harry Potter series, and the large number of American missionaries with even larger numbers of children. And then there were the locals… The little kid who sold me fruit in the mornings and on the last day gave me free plums and a hug, the Sikh guy who lived next door and taught me how to dance bhangra as well as procured our somewhat sketchy 4th of July fireworks, our cook Seema and her family, the guy from Washington state who lives in Mussoorie with his dog and is working on opening a brewery there, and a very special someone with a wonderful smile. 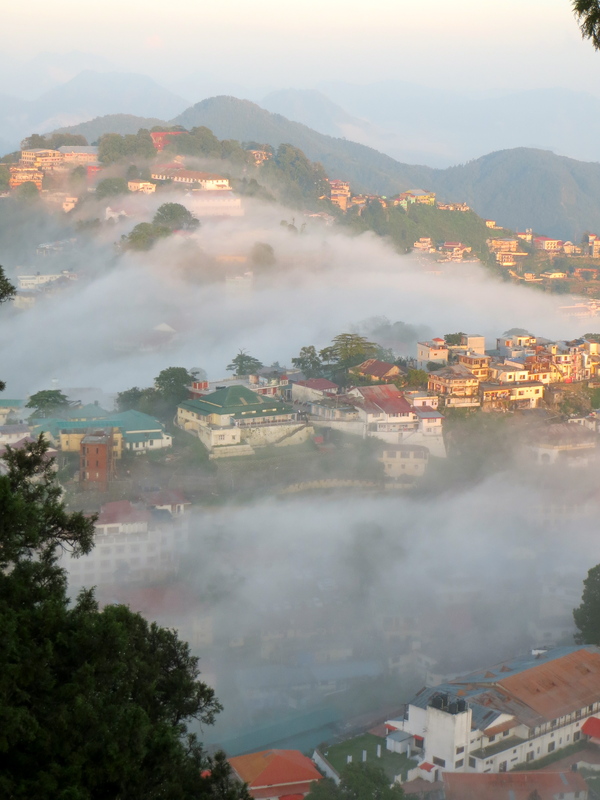 I will go to Mussoorie again. I know I say that about everywhere I go, but I’m always serious. I’ve never been to such a beautiful and peaceful place (minus the wildlife). I might study there again too, but mostly I just want to make the drive from Dehradun and to see that little town rising out of the clouds again.